Mixed media canvas is one of my favorite things to create. This one was a challenge, though, since it was only 4x4. ;) I tend to over think small spaces. Give me a large space and I can give you negative space or create a unique piece of art. But, small makes me feel claustrophobic. Ha! If I was given the chance, I would have used two of these and used a hinge to create a piece that opened and I would have decorated the inside like little shadow boxes. But, alas, that wasn't the assignment. 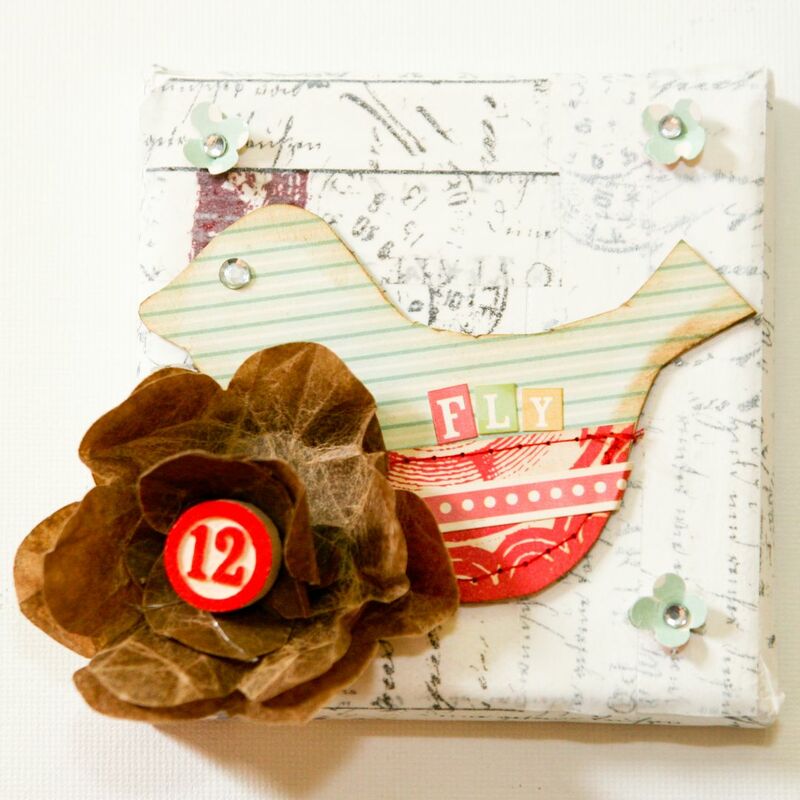 So, I had fun creating the background with Tim Holtz's tissue tape. To make this white wash look, add a light coat of gel medium along the entire canvas and add a strip of designer tape. Leave this one alone. Next, add another strip of tape and then use a water mister on wax paper with a brush of gesso. Make sure there is a little bit of white thinned out paint on your brush. White wash the second strip of tape with only one or two brush strokes. For the last strip of tape, white wash three or four times. This gives the canvas dimension and you can see more of the script on the less painted tape strips. 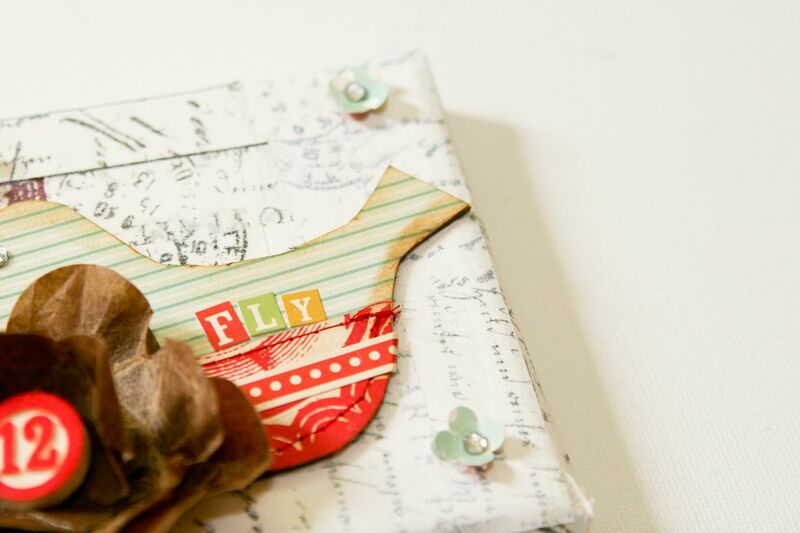 Create Well: Use tissue tape, gesso, and a water mister to create a white wash look on your next project.